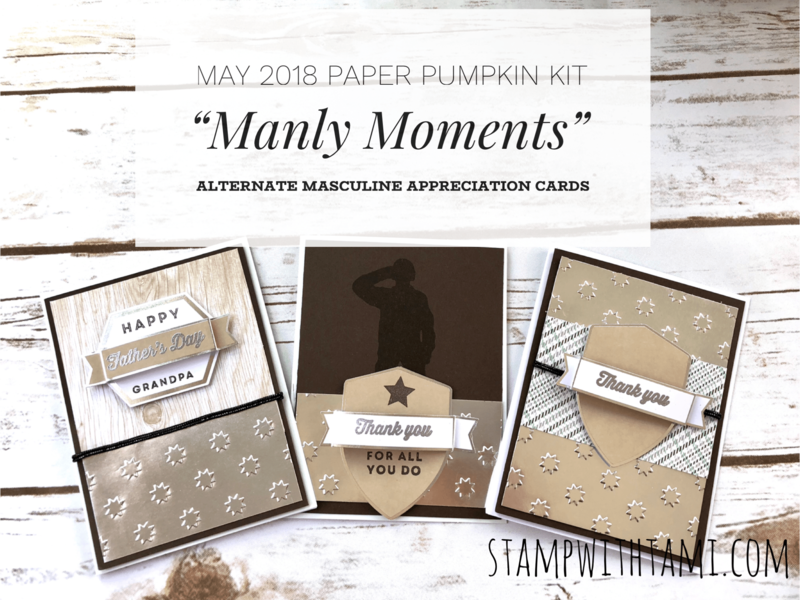 With Father’s day around the corner, and a masculine Paper Pumpkin kit to play with, my mind drifted to “manly appreciation” cards for Father’s Day and beyond. 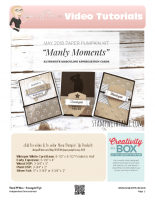 This set of 3 masculine appreciation cards that are fun alternate projects featuring the May 2018 “Manly Moments” Paper Pumpkin Kit. 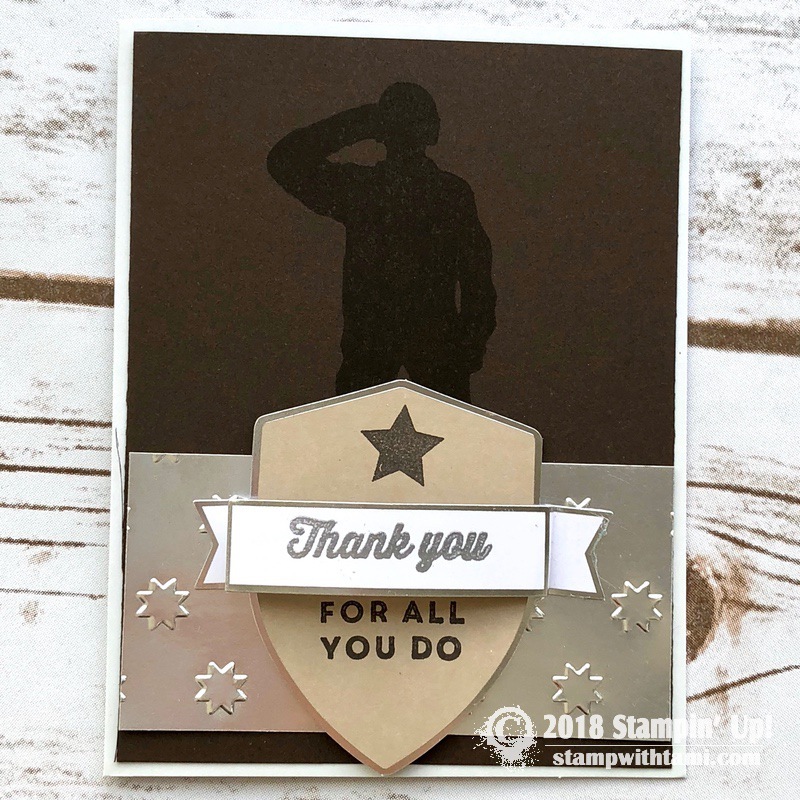 I’ve got a Father’s Day card, a Military/Police (Service) appreciation card and a simple “Thank You” that goes for any occasion. 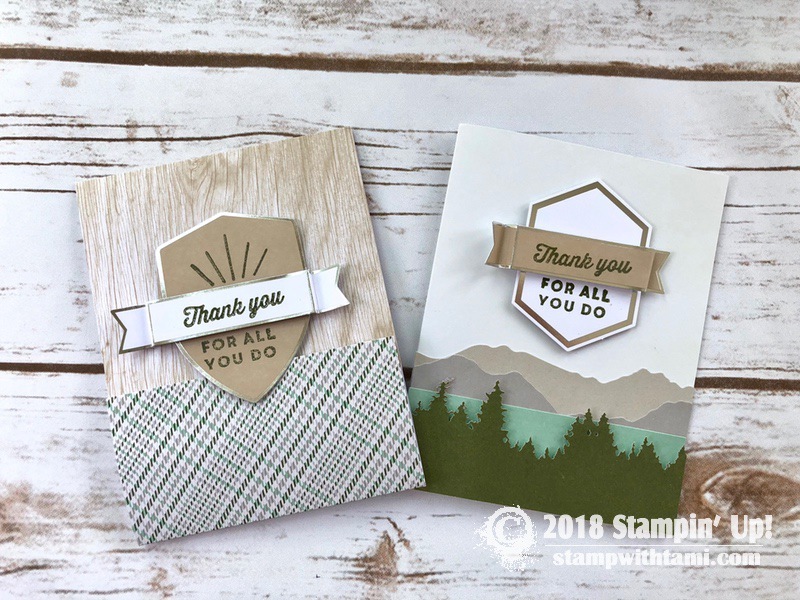 All greetings can be changed out for others to make these cards good for other occasions as well. 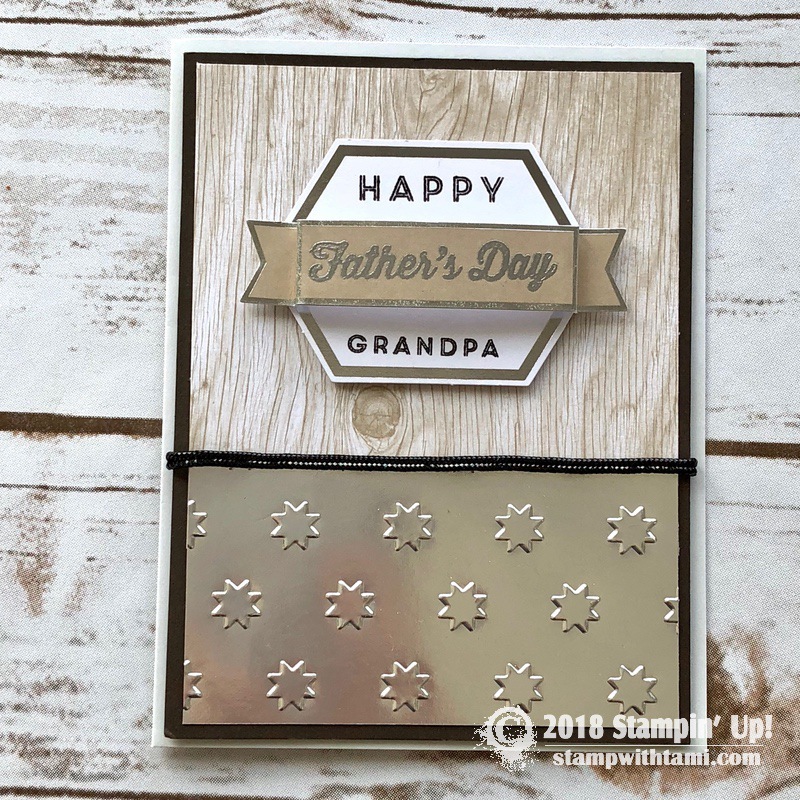 Download the free pdf for the class below. It includes measurements and a full supply list. 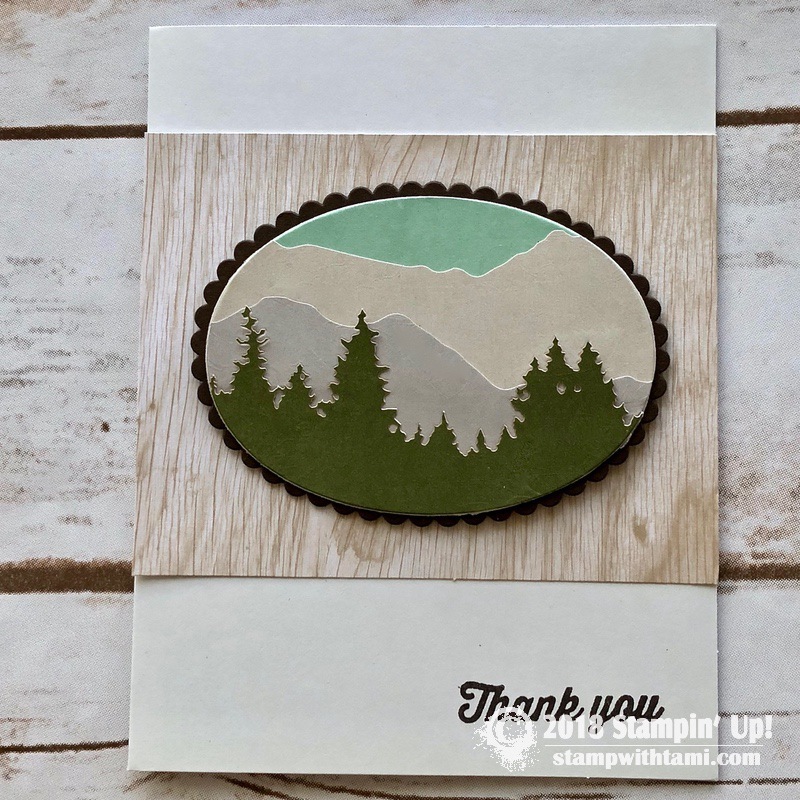 Love your alternative PP projects. Sorry I missed the live!